I remember the band coming up on stage one by one and starting a slow number, and suddenly Angelo appeared at the back of the venue, climbed on top of the crowd, all dressed up in a grey suit with a tailcoat, a top hat and a glass cane. He walked on top of the crowd to the front stage. Amazing. 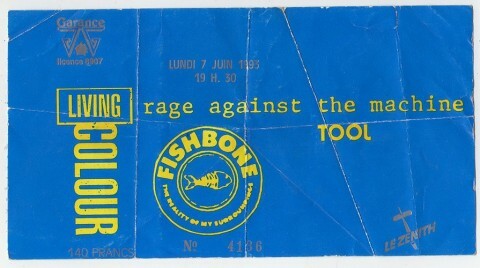 At that evening, for the only time in my life, I saw Fishbone be soft. 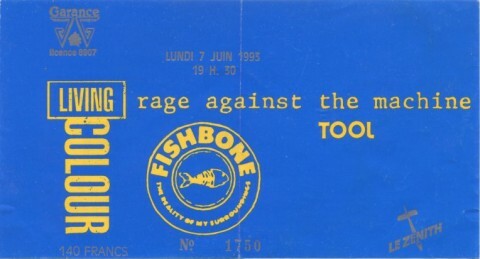 After Tool, Rage Against The Machine and Living Colour, Fishbone had the difficult task of closing the evening. It was late at night, people were tired and the show has not been equal. 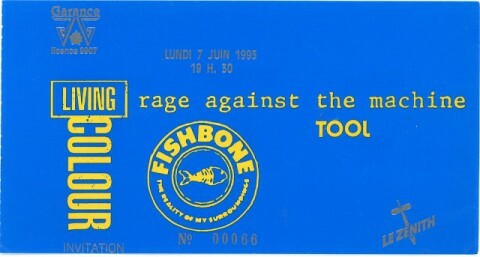 Tool plus trop de souvenirs mais j'aimais bien à l'époque. 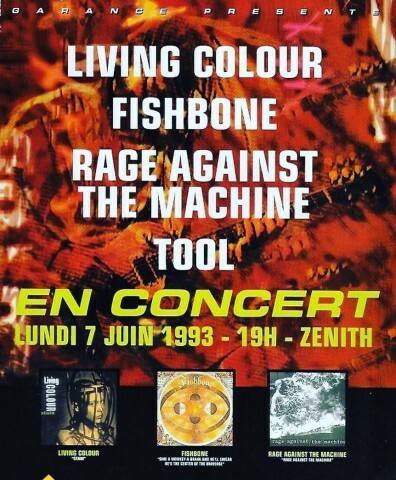 RATM je m'en foutais j'ai pas regardé : c'est là qu'ils se sont foutus à poil il y a un extrait de metal ou rock express sur you tube. 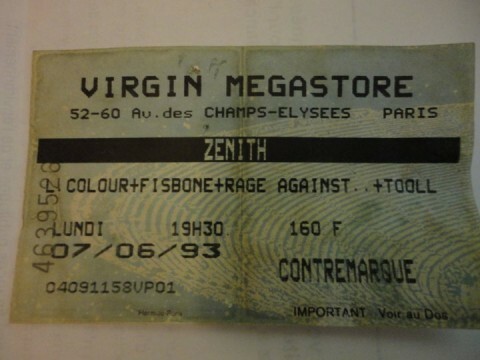 Fishbone is not scheduled to play Le Zénith anytime soon.